One of the big challenges Cisco Collaboration certification candidates have is getting access to gear (e.g. Cisco Unified Communications Manager (CUCM) servers). Fortunately, Cisco's DevNet Sandbox allows you to access multiple lab topologies with live equipment, via a VPN connection. 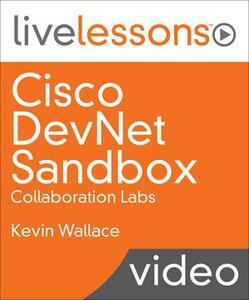 In this video, expert instructor and collaboration engineer Kevin Wallace shows you how to connect to the sandbox and then walks you through a collection of labs, which you can perform on the sandbox collaboration equipment. Designed to help you learn essential voice and video collaboration skills or to help in your preparation for the CCNA Collaboration exams, these videos provide you with a unique opportunity to gain hands-on experience with the tools and technologies that make up modern converged networks.